In video marketing news this week, Vimeo announced it is launching a live streaming video service aptly named Vimeo Live! In case you don’t know what Vimeo is, it’s an online video platform similar to YouTube that gets an astonishing 715 million video views each month! Live video will broadcast in high-quality 1080p. You can embed the Vimeo Live player on your website and customize it with your logo and colors to blend in with your branding. You’ll be able to convert viewers into customers with calls to action and email capture from directly within the player. If you choose to monetize the content, you can sell your live videos with options to rent, purchase, or subscribe to your videos. Prices start at $100 per month for the Vimeo Live Pro plan. $100 per month may sound expensive when you compare it to YouTube and Facebook who both provide free live streaming. But if you want a turnkey package for your live videos and access to a platform that has 715 million monthly views, Vimeo Live may be a good option for your business. In breaking SEO news this week, WordPress has released version 4.8.2 which is a critical security update. In case you don’t know, WordPress is an open-source tool that you can use to build your website or blog. Last month, malicious code from a popular plugin called ‘Display Widgets’ infected over 200,000 sites! The malicious code allowed the plugin author to publish any content on your site including links to viruses, unsolicited ads, and offensive content. Make sure your webmaster updates your website to WordPress 4.8.2. If your WordPress site uses the ‘Display Widgets’ plugin, delete it. 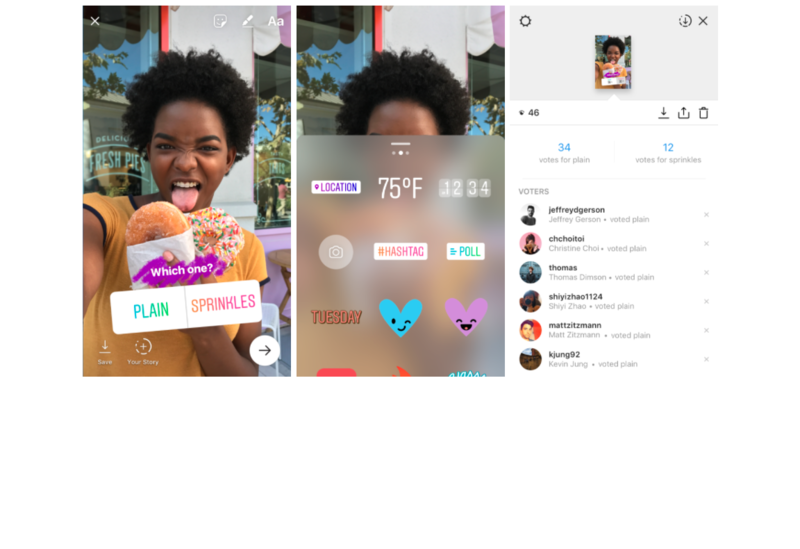 Instagram rounds out this week’s social media news, with the exciting launch of their new Polls in Stories. Instagram Stories are a collection of your images and videos that combine to make a story which you can share with your followers, and they disappear after 24 hours. This week Instagram have added a Poll feature, so you can ask your followers questions and get immediate answers. Take the photo or video that you want in your story, select the “Poll” sticker and place it anywhere on the screen. You can write any question you like, and the default answers are yes and no, but you can customize the two answers to be absolutely anything! Your followers can then answer the poll when they look at your Story, and they’ll see the results in real-time. As with all new technology, early adopters will gain the most traction, so use the new Poll feature in your next Instagram Story.